Parotta Kurma & Idiyappam Festival at ‘Banana Leaf’ (Vivekananda Park) till end of this year! November 27, 2017 November 27, 2017 Categories Festival, food tastingbanana leaf, banana leaf kolkata, blog, breakfast, idiyappam, parotta kurma, south indian food, south indian food kolkata, veg food, vivekananda park, winter, winter food, winter kolkata5 Comments on Parotta Kurma & Idiyappam Festival at ‘Banana Leaf’ (Vivekananda Park) till end of this year! I do not consider myself to be someone who knows everything about something and definitely not the one who thinks he/she knows something about everything! I prefer myself to be considered as a learner, my knowledge buckets are never full and they can be filled in with more knowledge. In the end, often it turns out to be a rather funny situation where it becomes evident that I know more than the one who thinks he/she knows everything about that ‘something’. But that’s fine; there is no end of learning. I try to learn every day from every person in every possible situation, not declaring it or bragging about it. You can learn something good from every single human being. Recently one such learning experience happened to me in my favorite gastronomical field when I was at Banana Leaf (Vivekananda Park) to review their Poratta Kurma and Idiyappam festival. Actually, I had been to Kerala and had these kinds of stuff over there but I came to know a lot more about these items and their preparation at Banana Leaf from the owner who is a very dear friend of mine. As we all know, Banana Leaf is a South Indian restaurant in Kolkata serving delish vegetarian South Indian food items that include Dosa, Idly, Vada, Utthapam, Meals and much more. During the winters, they generally bring in these special items like Idiyappam and Poratta Kurma and treat their patrons to these delicacies which are extremely hard to find in Kolkata. When the chill is in the air, I generally prefer to go for some heavy breakfast and Banana Leaf is just the perfect place for that. This festival will be on until December end at their Vivekananda Park outlet. Let’s quickly check out these items along with some pictures to get a better idea. Coffee – That’s the fuel I rely upon when I am on a South Indian diet!! My filter coffee has to be well beaten and very strong! I love the aroma of that bitterness which you get in that strong filter coffee. Here the coffee was strong as per my preference. I really loved sipping a couple of glasses of coffee throughout my stay at this place. And yes, as expected the coffee is served in stainless steel glass and a small bowl for that beating purpose. Parotta Kurma – This was surely the highlight for me, as I had never tasted this before at any Banana Leaf outlet. The Parotta is pretty similar to the North Indian Lachha Parantha but has its typical traits. You will get this mostly in Kerala, Sri Lanka and in some places of Tamil Nadu. It has a lovely flaky layered structure which is pretty soft, bouncy and easy on your gums. It goes very well with the Kurma which is again a veg dish at Banana Leaf but has loads of diced veggies in there and an amazing coconutty richness that makes you fall in love with the dish. And you get a bowl of Raita with this which I really liked since it was tad sweet, not very sour and easy on my taste buds. Idiyappam – This is my all-time favorite at Banana Leaf. You will get this in abundance in Sri Lanka and southern parts of India. If you haven’t tried Idiyappam yet then you are surely missing out a lot, trust me! Even the person who doesn’t like eating Idlis, dosas or vadas would definitely love this dish. These are basically string hoppers consisting of rice flour pressed into noodle form and then steamed, it forms a sticky noodle cake which you tear, dip in that curry (which comes along with it) and have. The curry is not sambar, it is immensely tasty, thick, spicy and coconutty. And it can contain mutton in there as well, though here it was vegetarian. Along with this at Banana Leaf, you get an amazing sweet watery Coconut Milk which seriously cleanses your palate and acts as a coolant. Rava Kesari – This is the orange colored sweet dish or the dessert which we absolutely loved to the last nibble! It is actually one of my favorites at Banana Leaf. This is basically sooji halwa which was freshly prepared for us and was warm when served; it was oozing with a rich aroma of desi ghee and dry fruits! It was not overtly sweet which I really liked. An absolute marvel to end the meal with! In the end, the meal was awesome and pretty heavy. I would love to call it a brunch and not a breakfast 🙂 Also I loved the service at this place as always. All the Tamil speaking servers were very prompt and extremely efficient. They had followed every little instruction which was given. Hospitality is a big plus point for this place. You won’t get all these Parotta Kurma or Idiyappam all throughout the year at this place and it’ll be a crime if you don’t try them out, so what are you waiting for? Make sure you drop in at Banana Leaf next weekend to savor these delicacies! Previous Post Cafe HQ – Kolkata gets a Superhero themed cafe! 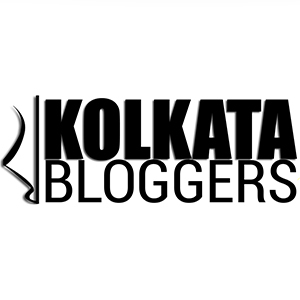 Next Post The Bhoj Company – Mecca of Dhakai food lovers in Kolkata! Nice review and loved the images too. The filter coffee is an absolute treat in any south indian restaurant and yes, the stronger, the better it tastes! You have ordered some of the nice options that they have, by the way. Thank you so much! Actually I was invited to taste their Idiyappams and Parotta Kurma. I love string hoppers! They look like fluffy bird’s nests. Do you know how they are made? Glad to know we share this similar food interest! I haven’t tried making it and not so sure about the preparation procedure, if I do I will surely post a recipe blog post and let you know! !